I know! I haven’t blogged in too long. Hope I didn’t lose to many subscribers. I seem to either go full speed ahead or not at all when it comes to blogging. I’m going to try (mind you, not promising anything) to post more regularly. If it works out the way I hope, there will be two posts a week. If I were smart (again, I’m not saying…), I’d write bunches of blogs at a time and post them twice a week so I could get ahead and have some “in the can” for when I reach my fallow periods. Jim and I actually took a summer vacation this year (GASP!!!) It’s hard to believe that the last real vacation was when our adorable niece, Caitlin, graduated from high school. That was two years ago. We’d planned a trip last summer for our 25th anniversary, but we cancelled them when friends asked about visiting. We also had really hoped to get to our nephew, Allen William’s (named after my dad), graduation this year, but it was on a Thursday (odd) and at a time we were going through a major inspection at work. As we could only take a week off from work, we decided to explore Michigan. We took the week including July 4 so that we only had to take four work-days. Jim was born and raised here, but his family never got to go explore the state much. As y’all know, I’m a southern girl who only moved here nine years ago. NINE YEARS AGO???!!! Anyway, we decided to visit parts of this beautiful state that were new to us both. The obvious answer was the Upper Peninsula (UP). To all my non-Michigan friends, the state of Michigan is actually two completely disparate peninsulas. This goes back to an argument with Ohio (and they still go at it – hammer and tongs – especially in football season). Way back when (1830s), both Michigan and Ohio were laying claim to a strip of real estate that contained the port city of Toledo. This actually came to a head with shots fired and the U.S. government had to intercede. An agreement was struck. Ohio got Toledo and the border with Michigan was drawn just north of that city. 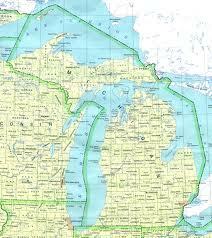 Michigan got the Upper Peninsula (which – if you look at a map – is really more akin to Wisconsin). Ohio got the port, but Michigan got a natural treasure with shoreline on four of the five Great Lakes. The abundance of trees for lumber, copper and other minerals made it a long-term, great trade-off for Michigan. Over the next several weeks, I’ll tell you about our travels in the UP. I’ll tell you about the places we stayed, the restaurants we found, and the sites we saw. It truly was a great trip and we trolls (that’s what Yoopers – Upper Peninsula residents – call those of us who live “under the bridge”) had a wonderful time. I hope I can entertain you and help you see what a fabulously beautiful state Michigan really is. Maybe you’ll even want to plan a trip to Michigan.